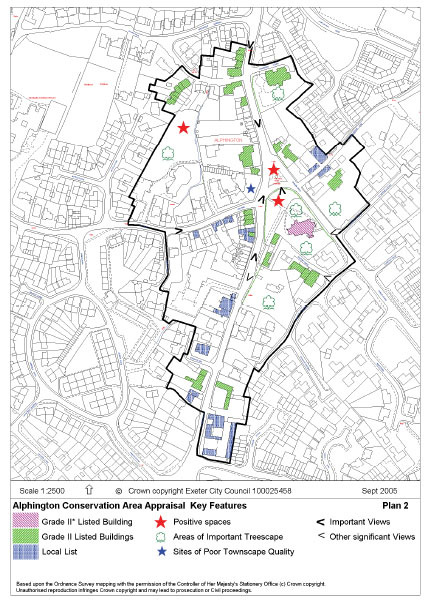 The heart of Alphington village, focused on the church, is a conservation area. 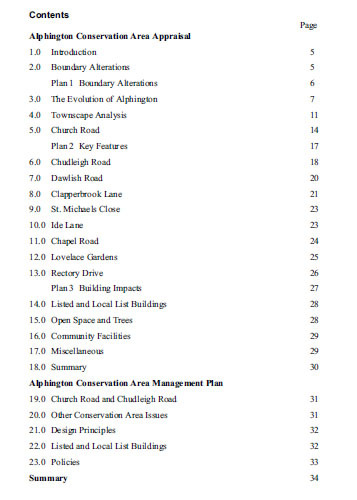 The plan of the Conservation area is shown below. New building to the South of Alphington, and in the Matford area will have a direct effect on the conservation area, primarily because of the traffic that would be generated, and which would cause pollution and foundation damage by vibration.